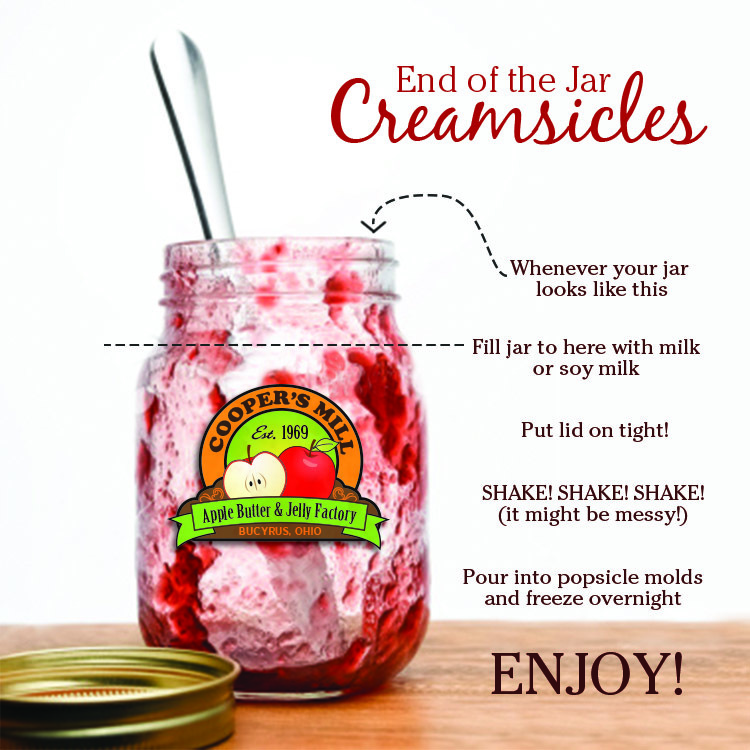 Savor every little drop of jam with this creamsicle recipe! Can you imagine a Peach Habanero creamsicle or Raspberry Jalapeño creamsicle? This entry was posted in Recipes and tagged creamsicle, Jam, Made in America, Recipe, summer, upcycle. Bookmark the permalink. ← July’s flavor of the month is BLUEBERRY JAM!